We are delighted to invite you to our launch symposium on 19-20 September 2017. 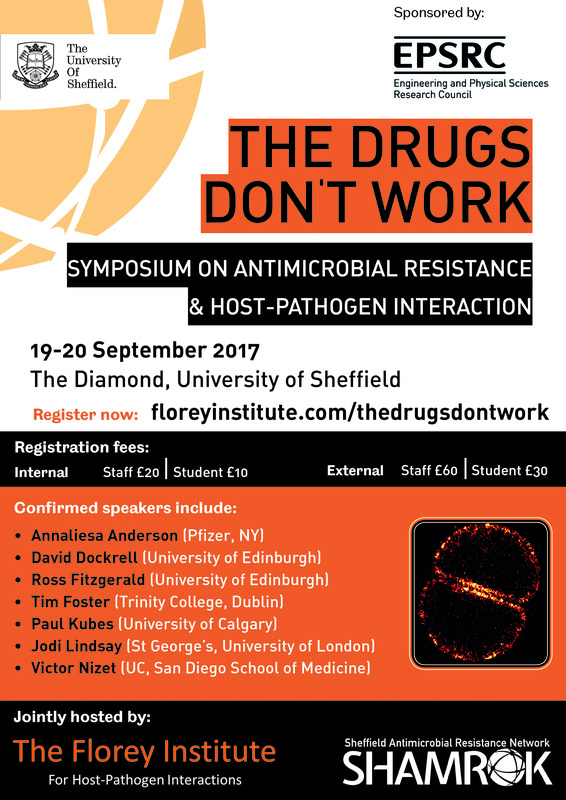 The Florey Institute for Host-Pathogen Interactions was established to create a world-leading focus on antimicrobial resistance (AMR), from fundamental science to translation, bringing together scientists and clinicians to tackle this global problem. 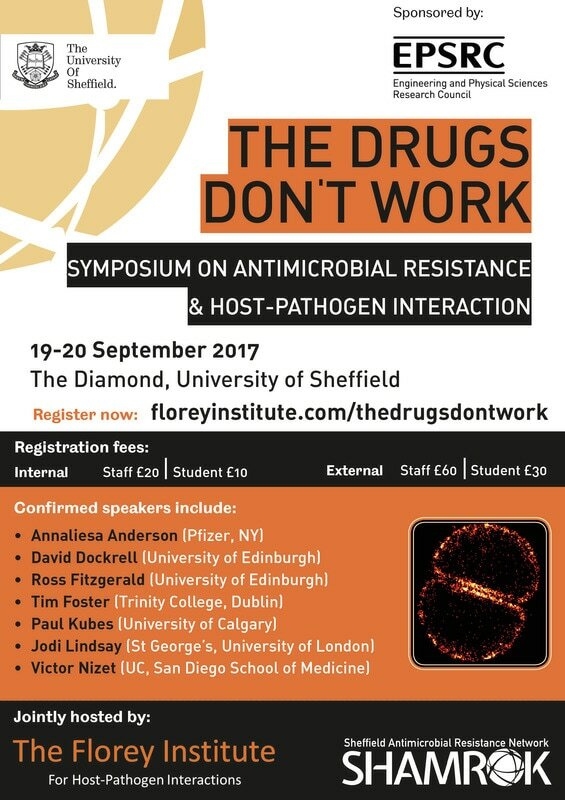 The symposium is both the official launch event for the initiative and the final event for the Sheffield Antimicrobial Resistance Network (SHAMROK). This event is sponsored by the EPSRC through the SHAMROK network. SHAMROK aims to enable new research and translational opportunities to facilitate engineering and physical sciences involvement to tackle the growing threat of AMR. Against this background of multidisciplinary research, this 2-day symposium will highlight recent advances in bacterial pathogenesis and host-pathogen interactions, with a focus on antimicrobial resistant pathogens Staphylococcus aureus and Streptococcus pneumoniae. Please register for our launch event through the link below. Places are limited for the conference dinner on the Tuesday night so please book early to avoid disappointment. The symposium will be held in the Diamond (32 Leavygreave Rd, Sheffield, S3 7RD). The poster competition is open to all early career researchers (including PhD students). It will be held on the first day of the symposium (Tuesday 19th September), with prizes being announced on the following day. The deadline for poster submissions is 15th September.